PROFAUNA Indonesia's advisory board member, Dr. Herlina Agustin, talked in front of tens of journalists about animal use in television programs in Bandung, last Tuesday (18/10/2016). 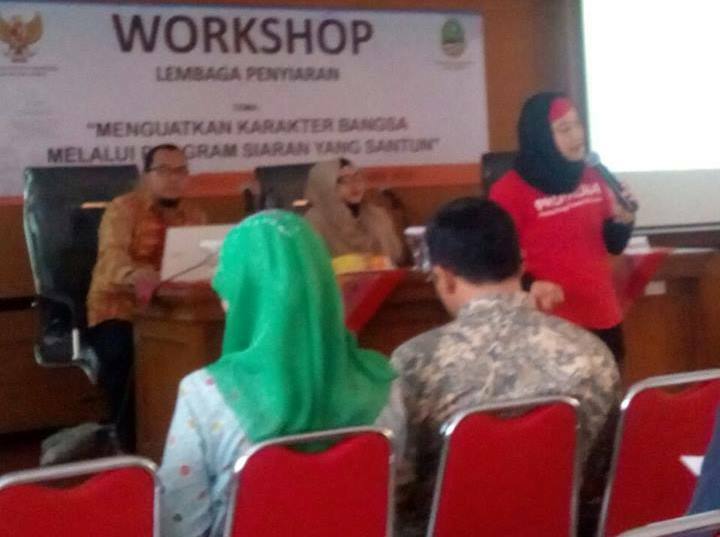 During the workshop held by West Java Broadcasting Commission, Herlina highlighted the prevalent animal exploitations in television. The workshop was attended by representatives of almost all television stations in West Java, including national stations like NET TV, RCTI, SCTV, Trans TV, Trans 7, and Global TV, also local stations like PJTV, Bandung Tv, and Garuda TV. The Head of West Java Broadcasting Commission stated, "This workshop is a part of our effort to provide room for discussion related to television programs and their contents, which needs serious attention as these programs take part in shaping the nation. Among the highlighted programs are those involving animals." The Coordinator of PROFAUNA West Java, Rinda Aunillah Sirait, who joined Herlina in the workshop, added, "PROFAUNA has long been encouraging television stations to create more children and animal-friendly programs, and to not mislead viewers when it comes to wildlife conservation."